Most manufacturers will update their existing ultrabooks to Skylake this Fall and word on the street is they’ll have them in stores around October-November. Asus have yet to release any official details on their plans, but I do know they are working on a few different devices, both in the Zenbook and the Transformer Book families. I’ll tell you a few things about some of these models in the following rows. I can’t comment on performance and how exactly these Skylake versions will fare against the Broadwell variants just yet, but I do expect a significant performance boost over the Haswell versions (roughly 25% improvements in CPU benchmarks and a much bigger difference in anything graphics related), corroborated with a slight bump in efficiency, translated in longer runtimes. The Zenbook UX303LN has been an great option for those looking at a sleek 13-incher with dedicated graphics in the last year and a half. It was briefly followed by a Zenbook UX303LB series, with Broadwell processors and the end of 2015 brought the new iteration, the Zenbook UX303UB. 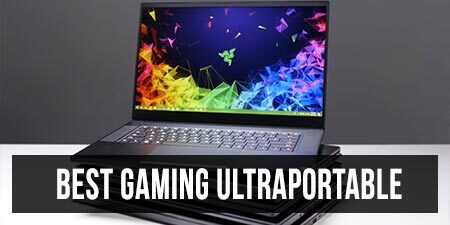 This one pairs an Intel Core i7-6500U processor with up to 12 GB of RAM, SSD storage (on a 2.5″ bay that’s easy to upgrade if needed) and an Nvidia 940M graphics chip, while retaining the same chassis and the screen from its predecessors. That’s something to keep in mind, since the 3200 x 1800 px display is known for its colors issues and the hinge mechanism has proven fragile over the time, and those are the main reasons I personally would have expected a completely revamped design. My detailed review of the Zenbook UX303LN tells you more about these aspects, as well as all the other things you should know before buying one of these UX303s. Performance wise, the Zenbook UX303UB is going to be a solid multimedia machine, capable of dealing with most everyday activities and work-related activities as well. The screen however kills it for photographers/videographers and anyone else who would require a color-accurate panel. Many of you would be interested in this one’s gaming abilities and it will be able to run some games, but don’t expect it to handle the latest titles smoothly. The Nvidia 940M is a low to mid-level dedicated chip at best and only a minor update of the Nvidia 840M chip used on the original UX303. 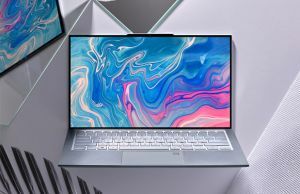 In other words, while games have come a long way in the last two years, this Zenbook has stalled and is only a minorly improved version of the model launched in 2013, at least when it comes to the graphics chip inside. Thus if you need a truly capable gaming ultraportable, you’ll have to look elsewhere. Regardless, the Zenbook UX303UB is expected to make its debut in stores around October, with an MSRP of $1299 in the US and about 1300 EUR over here across the pond, for configurations with the Core i7 Skylake CPU, 12 GB of RAM, 256 or 512 GB SSDs and the Nvidia graphics. Follow this link for more details and potential discounts. Cheaper versions might be available in some regions and personally I would aim for the model with a FullHD display, which is imo better suited for such a device. The Zenbook UX303UA is similar to the UX303UB in most ways, except for the fact that it comes with a touchscreen and does not get the dedicated Nvidia graphics. On the other hand, it’s much more affordable, with a Core i5-6200U configuration with 8 GB of RAM and a 256 GB SSD selling for under $900 these days. Follow this link for more details. Update: My full review of the Zenbook UX305UA is available over here. 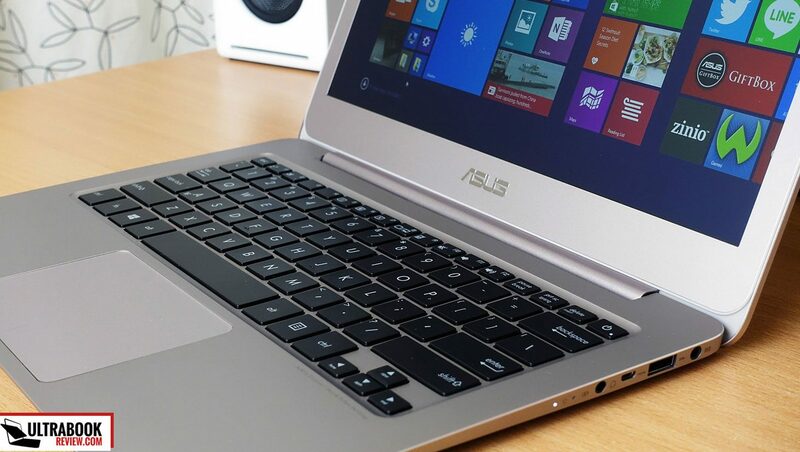 A few months ago Asus announced a brand new Broadwell-U machine, the Zenbook UX305LA, which we already analysed in this post. It is mostly built on the UX305FA’s chassis and inherits most of its traits (including the matte display and the non-backlit keyboard), but ccomes with a slightly thicker body in order to accommodate the more powerful hardware and a bigger battery. This model has been available in stores around Europe and some parts of Asia for the last month and has recently made its way to the US as well. The Zenbook UX305UA will replace the UX305LA series in the months to come and the Skylake internals are going to be the only difference between the two. The Zenbook UX305UA will be available with either Intel Core i5-6200U or Core i7-6500U processors, 4 or 8 GB of RAM (non upgradeable), M.2 SSD storage and a matte non-touch 13.3-inch FHD IPS display. I expect competitive configurations with the Core i5 processor, 8 GB of RAM and 256 GB of storage to sell for around $900 at launch, which is going to be about $100 more expensive than the existing Broadwell model. There’s no word on an updated Zenbook UX303LA so far, but I’d expect Asus to bump that model to Skylake as well, in order to have a premium 13-incher with updated hardware and a touchscreen in their offer as well, since the UX305UA is only going to be available with the matte non-touch screen. This one is the updated version of the popular Zenbook UX305FA series and it’s going to be built on a Skylake-Y platform, or in other words the updated Core M hardware. 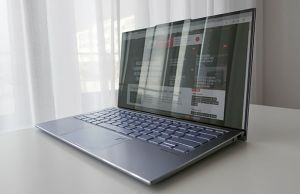 The UX305FA has been a great buy in the last months, mostly because it is a fanless, sleek and nicely built 13-inch ultrabook, but especially because it had a great price: $699 (and even less) for a configuration that includes a Core M-5Y10c processor, 8 GB of RAM, 256 GB SSD, 1080P matte display. We reviewed the UX305FA a while ago and this post is going to tell you all there is to know about it. The Zenbook UX305CA promises to address the two issues I had with its predecessor: everyday performance and battery life, but how are these going to translate in everyday use, that remain to be seen once the final products become available and we get to test them. For now, we do know that Asus will offer at least two UX305CA versions, a base model with a Core M 6Y30 processor, 4 (or 8 GB in some regions) of RAM, a 128 GB (or 256 GB) SSD and a 1920 x 1080 px display, that should sell for around 799 Euro (or $799 in the US), and higher end version with a Core M 6Y54 processor, 8 GB of RAM, a 256 GB (or 512 GB) SSD and the 3200 x 1800 px display, expected to go for roughly 1G. You might wonder why there are two options for the RAM and storage on these models? Well, that’s because the European versions of the previous model, the UX305FA, were not as good as their American counterparts. In other words, while the base model in the US came with 8 GB of RAM and 256 GB SSD for $699, the base model in Europe came with only 4 GB of RAM and a 128 GB SSD for 699 euro, which made this laptop far less attractive over here, across the pond. There’s no way to know whether Asus will take the same approach for the Skylake update, but there’s a chance they will. We’ll see. Last but not least Asus are going to work on updating their Transformer Boom Flip series to Skylake, and that includes the 13-inch TP300 and the 15-6-inch TP500 models. I’d expect to see the new models in store around October/November as well, with Core i5/i7 processors and various amounts of storage and RAM, plus optional Nvidia GT 900 dedicated graphics chips. If you don’t know what to expect from the Flips, they are affordable 2-in-1 convertibles with a Yoga-like form factor. Check out my review of the TP300 over here and of the TP500 via this other link for more details on these two models. Long story short, Asus will update most of their important series to Skylake in the following months, while gradually rolling down the curtains on their Haswell and Broadwell versions. The new models should translate in slight bumps in performance and battery life over their predecessors and should be the go-to options if you’re looking for a brand new machine this year, unless you can find the older models with some hard-to-pass-by discounts. 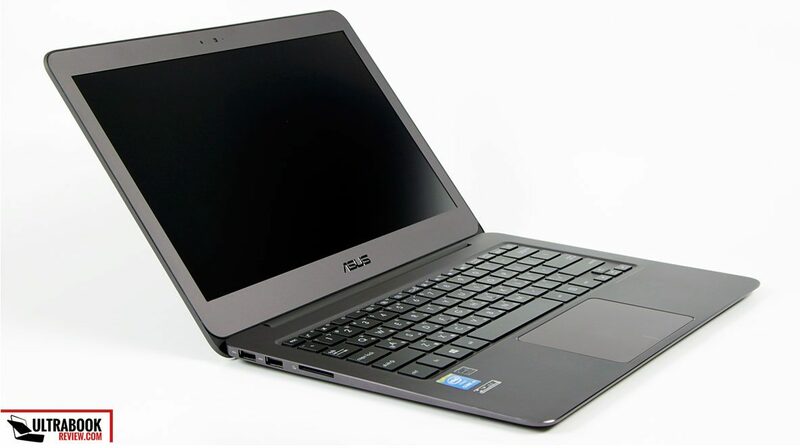 But while the UX305CA and the UX305UA are recent models that should be able to face the competition with success, especially with the help of Asus’s aggressive pricing policy, I do feel the Zenbook UX303UB and the Transformer Book Flips need a major rehauling in the near future if they’re to remains competitive. Hopefully we’ll start seeing some brand new designs at the beginning of 2016. Any word on the inclusion of USB-C ports or memory expansion options (e.g. 16 GB DIMM support)? There’s not going to be an USB-C port on these models, since they are going to be identical to their predecessors, and I don’t think they’ll be able to get 16 GB DIMMs either, but that’s yet to be confirmed. Thank you Andrei for this information. You guys are the first to provide some good insights about the market that help buyers decide what and when to buy. Still hesitating to get a UX305LA or wait for a UX305UA. Beautiful machines. The notebook we were waiting for. Also curious to see how the new generation of Core M perform. Fanless looks exciting even if I think I need more power. Nothing is more frustrating than a PC struggling to run smoothly. If, as intel claims, Skylake provide a significant boost in graphics, it can be worth the wait. Even if I am very tempted to get a broadwell i5/8go/256go right now for 900€ (instead of 1000€). Same configuration can come just 100 more in skylake in one or two month, it’s worth the wait! Do you think UX305UA i5/8go/256go will be around 1000€ like the broadwell version (if it is 900 dollars) ? Totally agree with you and the timeline. Hey, thanks for being such a great resource! This site has helped me so much with narrowing down what I want and understanding things better! The level of detail and consistency here is really really nice! I really like the UX305LA. Only two things bother me. Not having a backlit keyboard seems a bit dated. And it would’ve been nice, if they weren’t going to include a DisplayPort, to have a full sized HDMI connector. I wish the UX305UA would have addressed those problems… they seem like really simple things. I think if Asus made the matte screen available on more models things would be a bit easier for me as I do prefer that, but I know you can’t have everything (upgradable RAM/SSD/Battery even if it does require a little work I think would be nice if I’m asking for everything :p). Glass screens do look more vivid, but I think matte is way more practical which is a shame because they’re getting harder and harder to find. i hope the 305ua also gets a backlit keyboard and will be available in an i5/8gb/512gb/1080p variant. i don’t need an i7 or a 1800p screen (like on the 305ca), but i want more than the 250gb of storage i am currently limited to and i also don’t want to miss a backlit keyboard. as every year, asus has the chance to make the perfect laptop, and as every year we will see if they really nail it this time. It won’t. It was shown at IFA and there is no backlit keyboard. I don’t think there will be a 512go ssd version. i5/8gb/256gb/1080p is the main config I think so no problem. But I do think there is the possibility to change the ssd with a bigger (and potentially better than stock one) M.2 SSD. Hey, thank you for this review! I wonder if someone can tell me which device is better: the ASUS 303lb or the HP Spectre x360? I will use it mainly for writing, internet research and some photo editing. Sometimes I would like to play some games though, but this not that important. Thanks for your help! If you’re not into games, I’d rather get the HP. It’s a 2-in-1, has a larger battery and a better keyboard. Thanks Andrei for the wonderful article! I postponed my plan to buy a Zenbook UX305LA after reading your article to get the UX305UA instead because of the interesting refresh with the newer skylake CPU. I just wish to know if there’s any approximate date for its release since I’ll be staying in Switzerland until the 1st of December and I’m going to order it from USA Amazon (to have the English keyboard). I’m worried that I’ll return to my country, Egypt, without having the chance of getting it :(. Having it from USA to Egypt ‘ll make it far more expensive for me because of extra taxes so I hope I can catch the chance while I’m in Switzerland! 3 new series all the same except of the exterior and all equally rubbish…. shame I had expected the skylake to shake things up a bit. Seems these guys can get off having tens of laptops that are all efectively the same thing. Give me an 14″ 32GB i7, with 360deg hinge and I’ll upgrade, till then stop wasting my time. Really interesting laptops, I’ve been putting off the purchase of my next laptop because I’m interested to see what the Skylake can bring. One question I’d like to get answered: Do you think these models come with a possibility to install some other OS than Windows 10? I don’t feel really comfortable with windows 10 yet, so I’d like to have something else eg. Win 8.1. I don’t see why not, but they will probably ship with Windows 10 and if you want to replace it with Win 8.1 you’ll need to buy a different license, I don’t think Microsoft allows downgrades. Still, Win10 is actually pretty good, you should give it a try. That’s coming from someone who skipped the entire Win 8/8.1 line and is not upgrading from Win 7 directly to 10 on most devices and has yet to find anything annoying about Win 10. 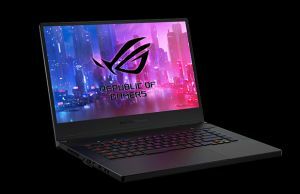 Do you think this laptop could play dota2 1080p at 45-60fps . Ux303ub dota2 at 1080p? I’m thinking of buying this or surface book. I only play dota 2. If it can get around 45-60 it would be great. To be frank I never tried Dota 2 on the Nvidia 940M. I expect it to run smoothly, but I can’t tell for sure if you would get 60 fps with High details or you’d have to trim them down. Andrei, thank you for this article. Can you just confirm a few things – I’ve been trying to figure it out and ASUS product support has been of no help. So the only difference between the 305LA/UA and the 303LA/UA is the touch-screen, correct? Both have active cooling, and the same hardware, right? The 305FA/CA are the only “weak” ones to avoid here, right? There are a few differences between the UX303 and the UX305 series. First of all, all the UX305s have a matte non-touch display, while the others are mostly available with touchscreen. Then, the UX305s don’t have a backlit keyboard, while the UX303s do. Besides this, the XU305s have fewer ports and some of them miniaturized, but they are a bit slimmer, lighter and pack a slightly larger battery. yes, pretty much the same. However, the UX303 can take 12 GB of RAM and uses 2.5″ SSDs (cheaper), while the UX305 can only take 8 GB of RAM (soldered on the motherboard) and works with M.2 SATA SSDs. I like the look and feel of the ux305ca but I think I need the 4 core CPU. When’s the ux305ua going to ship? Now that Asus is starting to release the Zenbook Skylake models, have there been any reports of the same color issues with the QHD screens? Are the colors still dull? This wasn’t an issue with the matte, 1920×1080 screens, right? I’m leaning toward the UX305CA, but I’m deciding between the base model for $699 or the OHM7 model that’s only available on the Asus site. That model has the QHD screen, which has me concerned, but it comes with a larger SSD. They also have the processors listed slightly different. Is there a major difference between the M3-6Y30 and the M7-6Y75? I doubt they changed the panels, but we’ll see. The FHD screens are OK, only the QHD+ have the pentile panel with skewed yellows. The m3 is a base-level Core M processor, while the m7 is the top of the line. There’s a difference in performance and price between the two. Both are fanless. The Microsoft store, in store only, just released the QHD version with the Skylake Core M, 8 gigs and 256 ssd for $799 less a 10% discount. This is $600 less than they XPS 13. I bought one today. Any updates on how much of an improvement the UX305CA is over the UX305FA (Skylake m3-6Y30 vs Broadwell M-5Y10). Amazon is offering me the older UX305FA for $145 less than the UX035CA. I can’t decide. Help! There’s a review on notebookcheck.net of the UX303CA, you should have a look. It’s not a major improvement from what I can tell. I used the UX303LN (i7) for almost a year now and was mostly satisfied with it (expect the known issue with the hinge and some wifi instability). Due to a warranty case I get the chance to update my Laptop. Unfortunately the UX303UB with the i7 is not in stock right now in Germany, and won’t be for at least a couple of weeks. I use the laptop for college (office, internet, some photoshop) and light gaming. Do you think it is worth the wait for the i7 or should I just get the i5 version which is available now? The i5 will do fine for your needs, I’d say the Skylake i5 should be on par with the Haswell i7. I’d go for it if the wait time for the i7 variant is very long. 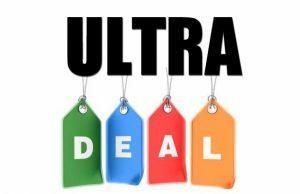 UX305CA-UHM1 with M (Skylake) $599? I’d reckon that UX305CA is with a Core m3? It might be too slow for what you need and because it will struggle with performance, it won’t be very efficient either. I’d get the UX305LA among the two, if you can live with a fan inside. The UX305CA gets the massive benefit of being passive cooled, but performance is sacrificed. If you have the choice between the new UX303UB and the UX305UA, what would you get if you need it for school? Is the UX303 with 940m much more powerful as the UX305? Any advice for me? DO you play games? if yes, then the UX303UB is the one to get. Otherwise, the UX305UA is a better deal for the money, since it’s much cheaper than the UX303UB. However, the UX305UA lacks a backlit keyboard and some of its ports are miniaturized, so you’ll need adapters. One last big question, would it worth waiting for newer versions of Skylake or so? I read at your Skylake article that edram is coming 2016 – worth waiting? Will it be included in this models? Anything new to expect from Asus (new Models)? Most Windows laptops will probably not get those processors. They will be present in the Macbook Pros and hopefully a few top-end Windows machines. Could be worth waiting if you have a big budget and actually care for the graphics performance. But I wouldn’t hold my breath for many options. Andrei, your site is much appreciated, it’s at the front. Like you I’ve stuck with windows 7 and ultralight, but now I have the $’for a new portable and am interested in skylake and win10. I’ve enjoyed a hassle-free Toshiba Portege z835 with every port you can think of crammed into 1.2 kg, only limitation the 128 Gb size of the SSD, and to some extent the RAM and the old chip. The temptation to bump it from 6 to 8 Gb and get a new 256Gb SSD (or 512 if it would fit) is very high. I still end up in places with no wifi, Ethernet only, from time to time. Am I silly to stick with a broadwell chip deal for the sake of Ethernet? An HP envy 6500u or top spec zenbook look tempting, but I want sub-1.35 kg full hdmi, full SD card reader ideally 512gb SSD, with skylake, and it doesn’t look like I can do that and get an Ethernet network adapter? The Toshiba z30s can still offer 4500 broadwell chips with crazy portability. I probably don’t need the skylake speed but the reviews suggest if I have the $, go skylake. I can wait 6 weeks, your thoughts? You can always get an USB to LAN adapter, that’s what I use for my laptop. Personally, I’s get the skylake over the Broadwell for the slight bump in battery life, DDR4 support, more efficient video playing, DX12 and the other improvements under the hood, as performance wise the two series are close. Toshiba should update their series to Skylake as well, you could contact them and ask when he new models will be available where you live. The only ultrabook that I can find that suits my needs is the UX303LB, but I’m concerned about the color issue as I intend to use it for photo editing (while abroad). Is the color problem also expected on the 1080p display? I’m not interested in the 3200×1800, standard HD is more than sufficient. THe 1080p screen is pretty good. Bot a professional grade screen, but at least decent. Hey Andrei, thanks for the review. I’m currently debating between the UB vs the UA. I bought the UB on Boxing Day but am debating on returning it for the UA version. Reason is that I’ve read that the UB with the QHD and GF940M requires more battery power. Wondering if you have any thoughts on this? The price difference is +$350CDN for the UB model. I’d mainly be using it for business work, some illustrator and photoshop editing. Which one would you go with? I wouldn’t keep the UB unless I would plan to play games. On top of that, the UB gets the 3200 x 1800 px screen with skewed colors (google it, you’ll find more on this topic), so it wouldn’t be a good pick for Photoshop or other software that requires color accuracy. In fewer words, I’d get the UA in your situation. I’ve seen reviews of the UB with a 940M and the 1080p FHD display. Are these international only models? I think the 940M w/FHD is the perfect pair. Hi Andrel, I’ve been looking for the UX305UA for a while now, and I just can’t seem to find it. Has ASUS released it in the U.S, or am I going to have to wait just a little while longer? Thanks! What zenbook should I buy? Why? Do you play games? If yes, the LB is the one for you, but the HDD will have a negative impact on daily performance. If not, the UA will offer slightly longer battery life and a performance boost in everyday tasks (due to the faster CPU and the SSD). You should upgrade the RAM though and get at least 8 GB of memory in there. I want to get a notebook for myself that offers a similar feel like a macbook air 13, but runs on windows 7 or 10. I would appreciate if some gaming like e.g. Civ5 Brave New World would be possible, but I will use my device mostly for surfing, office and some photoshop, illustrator and indesign. I definetly do not need a touchscreen and I’m ready to spend around 1000 Euros. As far as the body I’m flirting with the asus ux305ca models, but I fear that those Intel-M-Processors are a little weak, to stay with the machine for several years. As far as internals the ux303ub with an i5-6200u, 8gb ram, 256gb ssd and geforce 940m looks perfrect, but I fear it’s to chunky to give a macbook air feel. Therefore I’m currently considering either the ux305ua-fc001t with the i5-6200u, 8gb ram, 256gb ssd and intel hd graphics 520 (999 €) or the ux305la-fc044t with an i7-5500u, 8gb, 256gb ssd and intel hd graphics 5500. 2. Do both models have the same weight and thickness? 3. Do both models have full metal bodies or is there some plastic as well? Is the feel really compareable to a macbook air 13? 4. Which setup offers the better overall system performance? Am I correct that the gpu is the bottle neck, so that I should go for the slightly better intel hd graphics 520 of the ua-model, although the processor is slower? 5. What’s your overall recommendation? Unfortunately not a single shop in my city seems to have these asus notebooks in storage, so that I can’t check them out live, before ordering online. Thanks a lot for your answer, great site! Hi Uli. The UX305LA/UA is 15 mm thick (without the rubber feet) and weighs 2.9 lbs (1.3 kilos). The UA and the LA have the same weight and physical dimensions from what I know. To be frank, I’m not 100% sure these are all metal, it’s been a while since I’ve had them on my desk. In my review of the UX305LA I’m mentioning that the only plastic element is the bezel around the screen though. Regardless, the build quality is not exactly on par with the Macs, as the metal sheets are slimmer and not as rigids as on the Airs, while the inner frame is made from plastic. In other words, these don’t get an aluminum unibody, but a plastic frame covered in thin sheets of metal. Hope this makes sense. If you want to run some games, I’d get the Core i5-6200U configuration with the newer graphics. The CPU is a bit slower than the Core i7-5500U in the other option, but you’re not going to notice this in everyday use, and the gains you’ll get from the updated graphics are noticeable in games. 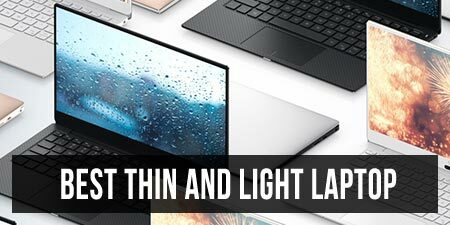 You could also consider the Dell XPS 13 9550 with the Core i5-6200U processor, 8 GB of RAM and FHD matte display, but the 256 GB SSD model is probably outside your budget. Could hunt for some deals though. I’ll decide soon. Thank you! Well, you’d have to make some trade-offs with both of them. Also keep in mind the UX305 gets a slightly larger battery. Since you prefer the matte display, perhaps the UX305 is the one for you. 8 Gigs of RAM should be enough for daily use and the storage is upgradeable, although M.2 SSDs might be a bit more expensive than 2.5″ drives. Still, the lack of a backlit keyboard can be enough to steer you away. Thanks Andrei, I decided to go with the ux305UA and after a week of use I am very happy with my decision. I have yet to operate it on any particular taxing tasks but so far it has performed excellently and very quickly. The lack of the backlit keyboard has turned out to be a non-issue. hey Mac, can you answer me some questions pls?, I’m about to buy the UX305UA, but in some websites and users opinions I read the touchpad is not very good. Is the surface smooth to use, and what about the multigestures, do all the win10 gestures work on it (like 3 fingers to open cortana/action center, open task view, etc). Hopefully Mac jumps in, but I’ll also have my review of the UX305UA up early next week, in case you think that might help. The trackpad is decent imo, but I’ve spent too little time with it to draw a conclusion. I also don’t use Win 10 gestures so I haven’t yet tried them out. Will do for the review. 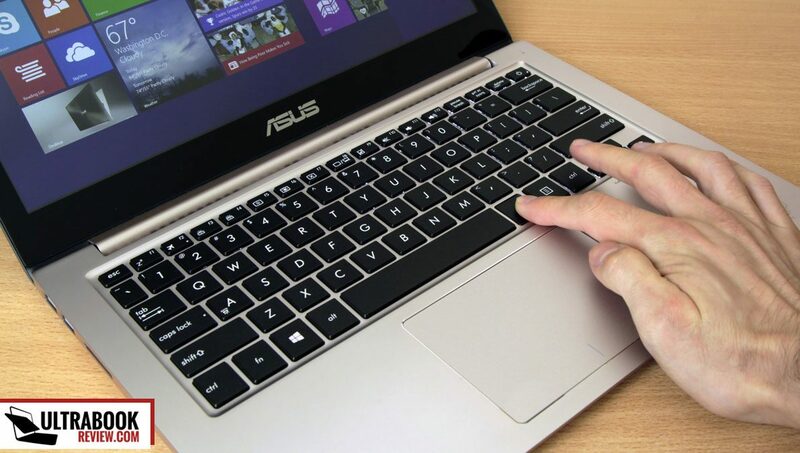 Hi Nakz, The trackpad is pretty good compared to other windows laptops I’ve tried, but don’t expect macbook levels of ease, Also the click is very loud, but I mostly tap so that’s fine.I don’t use huge amounts of gestures but when I do they seem to work fine. When I first got mine it scrolled way to quickly and jumpy, but if you got to mouse and trackpad settings and slide this little bar almost all the way down that fixes this issues, also I accidentally trigger zoom instead of scroll occasionally, but apparently this can also be turned off. all in all its a capable trackpad but not a stand out feature like a macbooks is. Hope this helped. I can confirm about the trackpad – it is very smooth and pleasant to use, but the click is unbelievably loud! What is the best ultrabook from these tree models? I want to buy a ultrabook and not decided yet. Looking for one great ultrabook asus or dell with win10. It depends what your after? If a backlit keyboard is a must have, or you need an ultrabook for gaming the 303UB will be best for you, however after Andreis advice I recently went with the UX305UA, given it has a longer battery life than the 303 models, a matte display (in my configuration) apposed to touchscreen, which in my case I wanted so could use outside, and the 305UA has an i5 processor unlike the ux305ca which is core-M. So in conclusion if you game, I’d go ux303UB, If you want a powerful laptop for day today tasks and can live without a backlit keyboard, the ux305UA is for you. Hey Andrei, i dont know why but i cant answer your reply from above. But anyways, ill looking forward for your review!! Excellent webpage!! Well, replies are only allowed 4 levels deep, otherwise would look bad on the site. I basically replied to a reply of a reply of a reply of a comment, if that makes sense, so you couldn’t reply anymore. Sry for the inconvenience. not a problema at all. Great article. I’m looking for a light, durable laptop with good battery life for backpacking and living abroad that I won’t be too sad if broken or stolen. I will use it mostly for word processing, video conferencing, watching movies, light web dev, and maybe some light video/image processing. I was thinking of getting the 305CA. Do you think that’s a good choice. Also a little concerned with no backlit keyboard and no Ethernet port. Can you add a dongle to that? I don’t think dev and video/image processing is going to be a pleasant experience on that Core M. I’d get the UX305UA, with Core i5/i7 processors. That aside, nothing you can do about the lack of a backlit keyboard, either accept it or go for something else. An USB to LAN adapter is included in the pack with the UX305UA (probably the FA as well), so don’t have to worry about that. Just bought one but change of mind. I wanted a ROG instead. Would you like to buy mine for AUD $1200? I haven’t switch the laptop, just received it yesterday so this is brand new. Thanks Cliff, but I’m in the UK, so would prefer a UK machine…. Very interested in purchasing a new laptop and leaning heavily towards UX303UA! The laptop I have right now seems destined to have a hinge failure in less than a year. That being said, is the UX303UA using the same chassis as UX303UB, which you already mentioned may be prone to hinge failure as well? Above all else, I want a sturdy laptop, (no foreseeable physical malfunctions) with great battery life under $1000, that will be usable for the next 3 years or more. I also am looking forward to playing FFXIV on the new laptop, but I don’t want to pay the extra $400 to get UB just for that. Any recommendations? Even outside the Asus line-up is fine, but I’ve been researching and have heard great things about UX303UA. The same from what I know. Are you looking for a 13-incher? Is it possible to install a graphic card on UX305UA so it becomes like UX303UB? UX303UB was the best for my needs and budget. My main issue was the resolutions. There are issues especially with Firefox – but I was able to override it! Congrats on a great site. 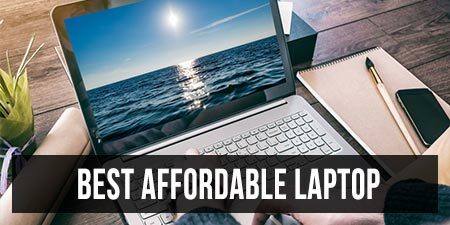 Very useful and informative for someone who hasn’t thought of buying a laptop for many years as I’ve been happy with my first gen i7 860 desktop machine. I’d narrowed my choice down to the UX303UB but the problems with hinges put me off. I need it to last for years (my desktop has done over 6.5 years of perfect service and still runs fine), and the hinge issue is problematic. I know I’m asking a bit of a crystal ball question here, but do you have any knowledge of when ASUS may release a successor to the UX303UB? I haven’t head of one yet. The Zenbook 3, Zenbook UX330 and UX306 are the new ones that I’m aware of right now, and none replace the XU303UB. I’d reckon you really want the dedicated graphics in a small package with a decent price, since you’re looking at the UB? Precisely! Portability is the main reason for the upgrade. Don’t want larger than 13″ and I don’t want to go backwards in terms of performance. My aging PC (1st gen i7 860, 8GB, 256 GB SSD, 9800 GT) still performs really well. I haven’t seen anything that really compares with the UX303UB in this price range. The hinge is such a damn shame ‘cos otherwise it’d be perfect for me. Even the screen issues don’t worry me because most of the time, it’d be used as a desktop running through my 46″ Samsung TV that I use as my monitor. There’s nothing similar in that budget. You could maybe look at the Gigabyte P34W or an MSI GS40, but these are 14-inchers, bulkier and heavier, but faster. There’s also the new Blade 14, but much more expensive. The hinge is a known issue on the UX303s though and from what I’ve read, it even cracked for people who claim they’ve pampered their units. So if you plan to keep your machine for that long, it’s safer to stay away. I see there’s an update. The UX310UQ looks like the successor. Lets hope the hinge is fixed!! Thanks mate! Appreciate the guidance. I think I’ll sit on it for a while and keep an eye on your site for updates! ASUS’ LiveUpdate software is preinstalled on computers shipped by ASUS. 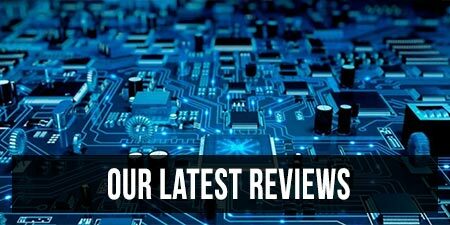 It is responsible for delivering updates, new versions of the BIOS/UEFI Firmware and executables for use with ASUS software. Content is delivered via ZIP archives over plain HTTP, extracted into a temporary directory and an executable run as a user in the “Administrators” NT group (“Highest Permissions” task scheduler). There is no verification or authentication of source or content at any point in this process, allowing trivial escalation to NT AUTHORITY\SYSTEM. I have a Asus Laptop that I bought back in 9/2015 and I’m worried. Personally, I uninstall LiveUpdate and pretty much all the OEM software (Splendid, WEbcloud, etc). I get updates manually or via Windows updates and I’ve been doing this for many many years without any problem. Yes, certain OEM programs can only be updated via the OEM’s isntaller, but since I uninstall most of that software anyway, that’s a non-issue for me. I’m struggling to see the differences between them, especially on power and speed. Would greatly appreciate your insight. Thanks! For basic daily activities, the UX305CA is a decent pick, but I’d get something with 8 GB of RAM and at least a core m5 processor. If you want multitasking and maybe run some more demanding software or some games, the UX305UA is going to be the superior pick. 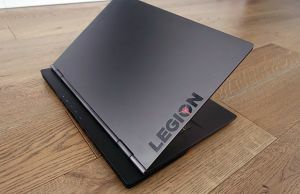 I’ve been considering this notebook before, but wasn’t satisfied with the overall specs – either too heavy or not powerful enough, depending on the model. Now I’m thinking about the new asus zenbook 3, that is about to come out, but the cheapest model has only 4 GB ram, which is not enough, and the middle model already costs 1500USD which will probably equal 1500€ in continental Europe (where I live). To be honest, the Samsung 900X3L would look like the perfect choice, but for some stupid reason Samsung doesn’t sell notebooks in Europe anymore. Do you have any idea, how I get my hands on one in Europe? If I order from the US (let’s say from ebay for example), will I have to pay taxes for importing? AND: Is it ok to just use an adapter? Will the Samsung 900X3L be able to handle the German electric current? Not sure how things are in Germany, but I expect you’d have to pay import taxes and potentially VAT. The charger will work in Europe just fine, you will need an adapter though so you can stick it in the European wall plugs. Those are cheap though, 5-10 eur. If you can wait, I think Asus are going to offer more configurations for the Zenbook 3 than what they announced so far, so there might be some in between the $1000 and the $1500 ones. I don’t expect to see them in stores earlier than October though. Hello and thank you for your reviews !!!! The UX305UA is only available with IPS panels, according to the official page: asus.com/Notebooks/ASUS-ZenBook-UX305UA/specifications/ . That’s also in line with the reviews and what I know about it. If it’s not IPS then I will return it… thanks ! Hei i want to ask i want to buy a laptopbut have a difficut choice whether ux303ub or ux305ua which one is better ? I am looking for a new laptop, but i cant seem to decide on one. I don't need it for much more than school work, but i do want a backlid keyboard, i7, able to multi task and it would be lovely if i could use it outside, it has to be able to last wuite some years, at least 5 if possible. I don't know if there are any of the new models that are a better fit and if the ux303ub would be to much? Hi, a UX330UB should do fine, but I'd rather get a newer generation laptop. If you're looking at Asus Zenbooks, then something like the UX330UA, the UX430UA or the UX410UA are good options. In case you need dedicated graphics (for gaming, mostly), there are UX430UQ and UX410UQ options with Nvidia 940MX chips. But whats the difference between UA and UQ? UQ gets a more powerful dedicated graphics chip from Nvidia, will benefit in games. UA gets normal Intel graphics that will handle everyday activities (movies, youtube, casual games) but would struggle with more complex games. If you're not a gamer, then the UA versions are the ones to look at.